Union 4138 Cupboard or Till Lock for wooden doors or tills. To suit doors or drawers up to 23mm material thickness. 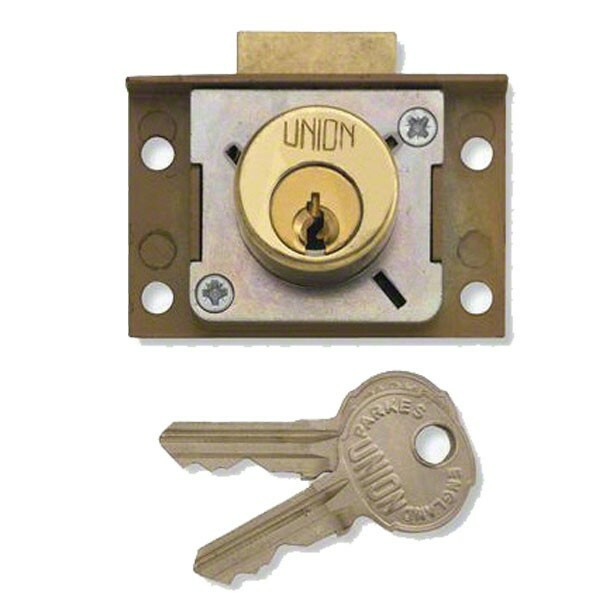 Cylinder rotates to produce either a drawer lock or a right or left hand cupboard lock. Upon closing the bolt is automatically engaged. The bolt is withdrawn by key.